Apologies to "Iron Man Animated Adventures" for stealing their logo. Hi Jeff! I like everything except the faceplate, which I think is too gaunt and cartoonish. Personally, I never liked the Iron Man faceplate with the points at the top. Everything else looks great! I don’t know why, but to me this looks like Iron Boy (i.e. 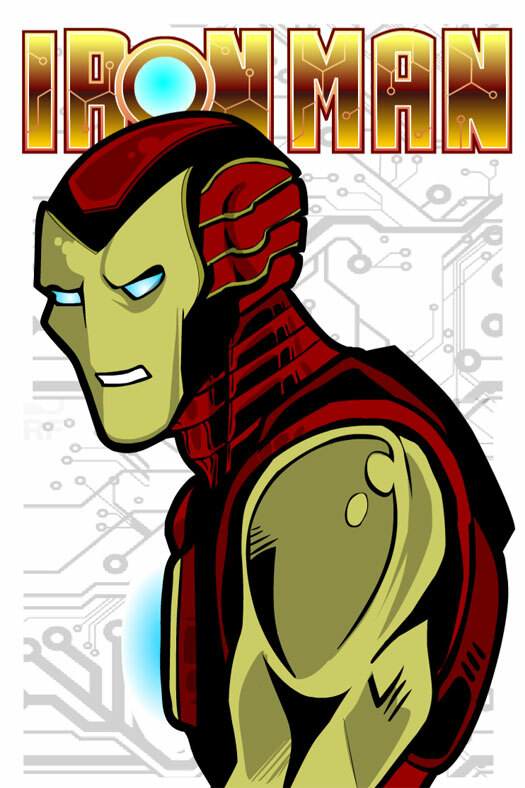 a teen Iron Man). Maybe it’s the hunching over? Still very good…. Yeah I agree it looks more like something from the animated series. the armor (again) into something more streamlined and sleek. Can’t wait to see that movie!